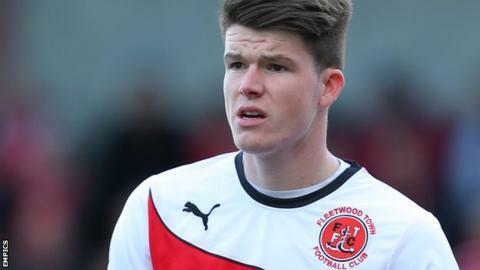 League One side Fleetwood Town have re-signed Wolves striker Liam McAlinden on loan until the end of the season. The 21-year-old spent two months with the Cod Army earlier this season and scored twice in his five appearances. McAlinden featured six times for Wolves on his return but will spend this rest of the campaign at Highbury Stadium. "We have been patient and we knew there was a possibility he could be available for loan and we have kept in contact," said boss Graham Alexander. "Liam adds fantastic competition up front. He scored a couple of goals for us earlier this season but his general play, he is a little bit different from the other forwards we already have." The Cannock-born former Shrewsbury loanee has come through the youth academy at Wolves and last year switched his allegiance from Northern Ireland to the Republic of Ireland.